Two RCAF generals, including an aide to Hun Sen, claimed Wednesday that the second prime minister’s Oct 22 declaration to crackdown on illegal logging and banditry led to the re-cent dismissal of a feared officer. Sath Soeun, also known as “Soeun Phen Dei,” or “master of the earth,” lost his rank and position in the army on Oct 24, top military officials confirmed Wed­nesday. They cited his role in “illegal rubber and timber businesses” as the reason. Former lieutenant colonel Sath Soeun has been accused for years of running illegal logging barges down the Mekong River and of killing civilians. “Based on army rules, we can’t keep him in his rank because he defied the law over and over again,” said General Prum Din, commander of the Phnom Penh-based Special Military Region. A top forestry hand on Wed­nesday hailed the move as a “strong message” to armed illegal loggers who are backed by high-level protection. 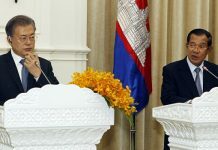 However, Sath Soeun’s boss, Military Region 2 Commander Choeun Sovantha, dismissed any connection to Hun Sen’s declaration, saying Sath Soeun is one of five corrupt officers he has sacked recently. And a forestry policy expert on Wednesday said he was not convinced that Hun Sen’s order was behind the action. 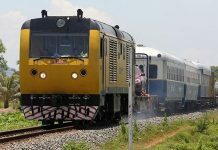 “It could be an isolated case that gave them an opportunity to” give Hun Sen credit, the expert said, speaking on condition of anonymity. The government’s inability to control illegal logging has been a sore point for international lenders, who say the cash-strapped government could garner more than $100 million annually from the industry. Environmental watchdog Glo­bal Witness has leveled accusations of corruption and complicity in illegal logging at top government officials. 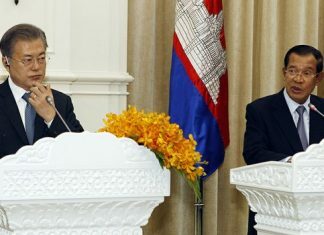 The Hun Sen aide, a general who asked not to be named because of the “complicated” nature of the case, disputed Sath Soeun’s reported claims that his illegal logging activities are backed by Hun Sen. However, he conceded that other top officials may back Sath Soeun. Authorities also found about 200 illegal guns in Sath Soeun’s house, army officials said Wed­nesday. They are not pursuing criminal charges against him.